Asian noodles come in all shapes and sizes. Try using any of these in your “Oodles of Noodles” soup. Just follow the package directions for exact cooking times. 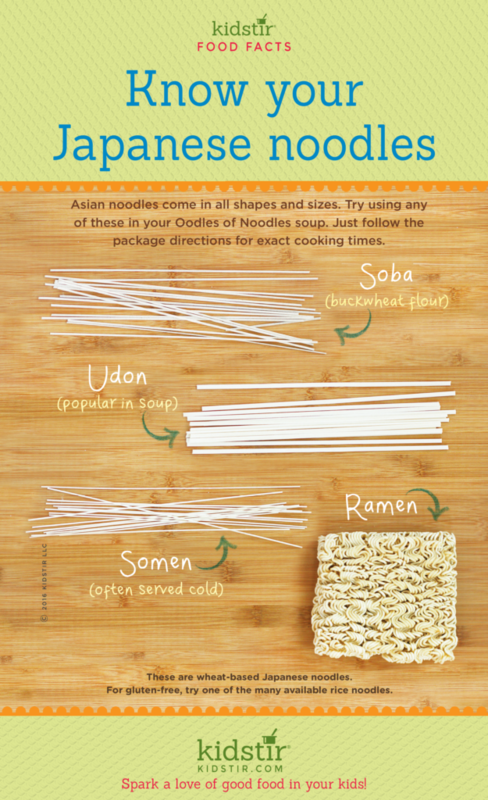 We’d love to offer the Kids Japanese Noodles Infographic for you to share on your blog. Just select and copy the code snippet below and paste into your next blog post. 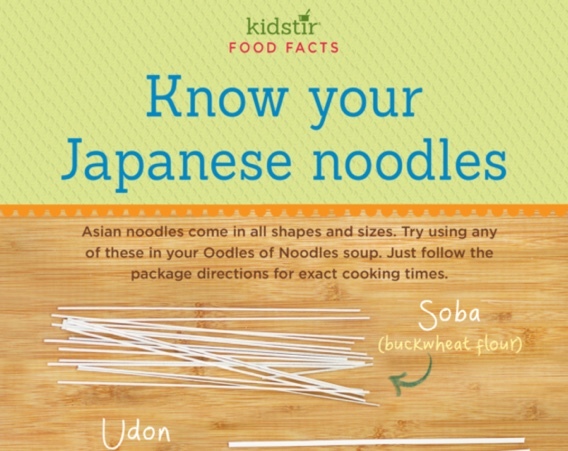 We’d love for everyone to share this page on social media or email using the buttons below so all the kids you know can know more about Japanese noodles! Previous post: Soup Fun for Kids!